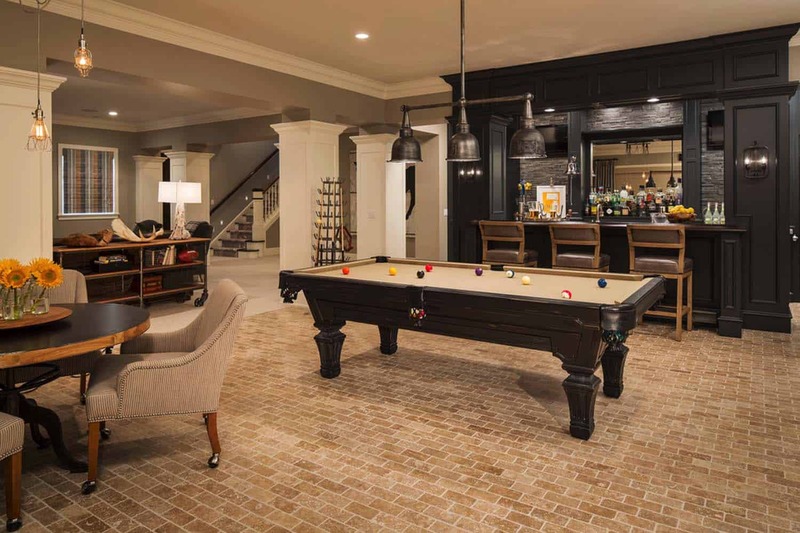 Another fabulous home by one of our favorite interior designers Martha O’Hara Interiors, this transitional styled abode is situated in Minnesota. The interiors are quiet elegant yet have playful vibe, with a nice mix of modern yet comfortable in the furnishings and finishes. 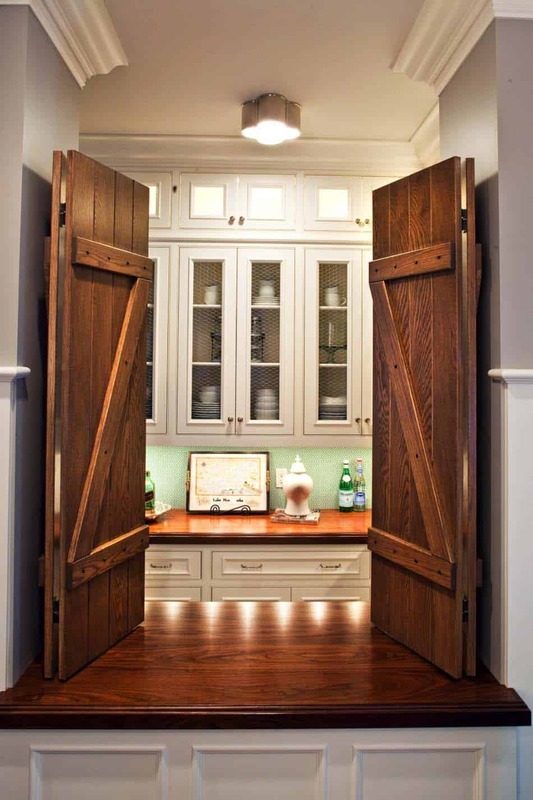 Neutral backgrounds are highlighted with adventuresome mixes of patterns and bold pops of color. 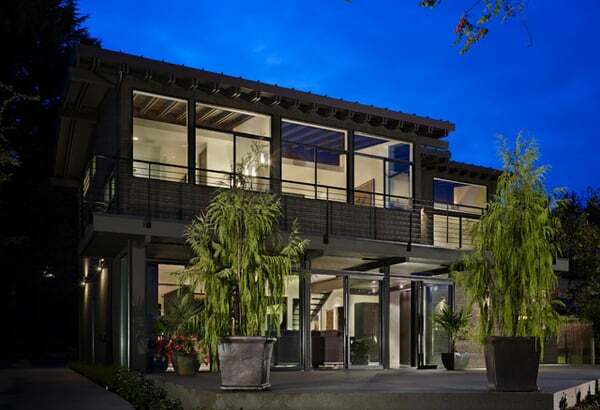 The living room is very bright and airy with tall windows that bathes the space in natural light. 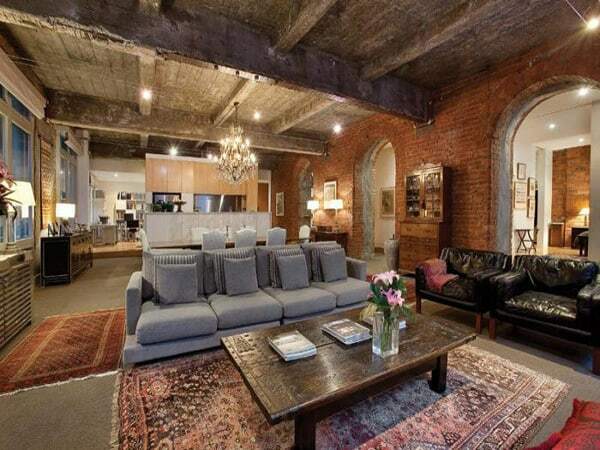 A cozy furniture arrangement around a central fireplace makes this space very inviting. An area rug covering the dark-stained white oak flooring grounds the space, while soft textiles adds texture, pattern and color. The Lillian August Chairs with a black and white graphic are so visually appealing against the pink ottoman, giving a sophisticated aesthetic to the space, love it! 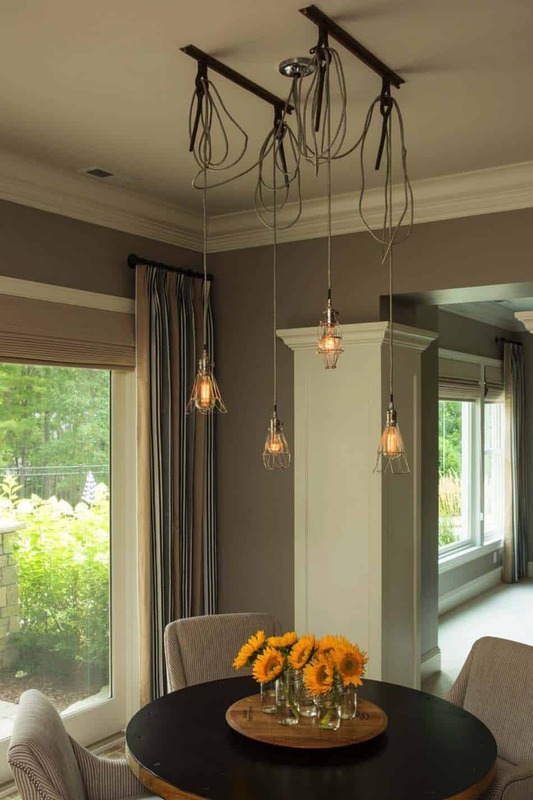 In case you are wondering, the wall color in this visually stunning room pictured above is Benjamin Moore AC-35 Valley Forge Tan. 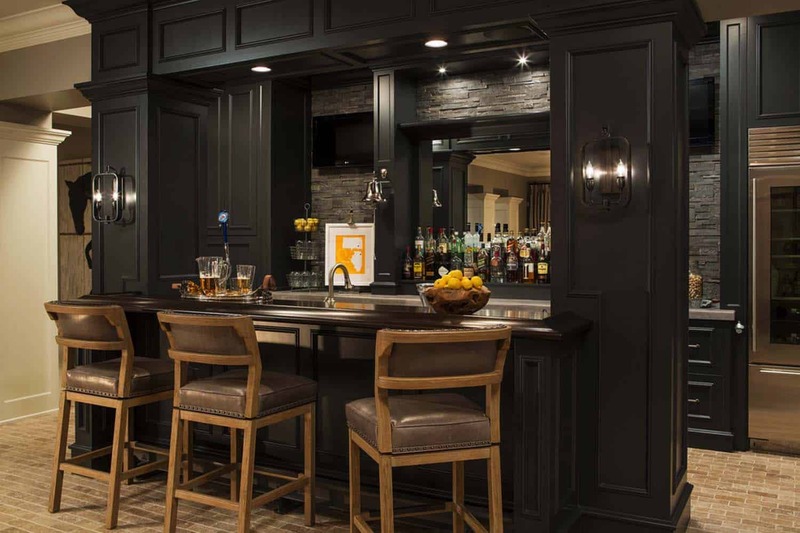 If you used this color in your own home, it would add a warm neutral with gray and brown undertones, however it would have a different feel with the lighting and furniture selections… so do a patch test first! 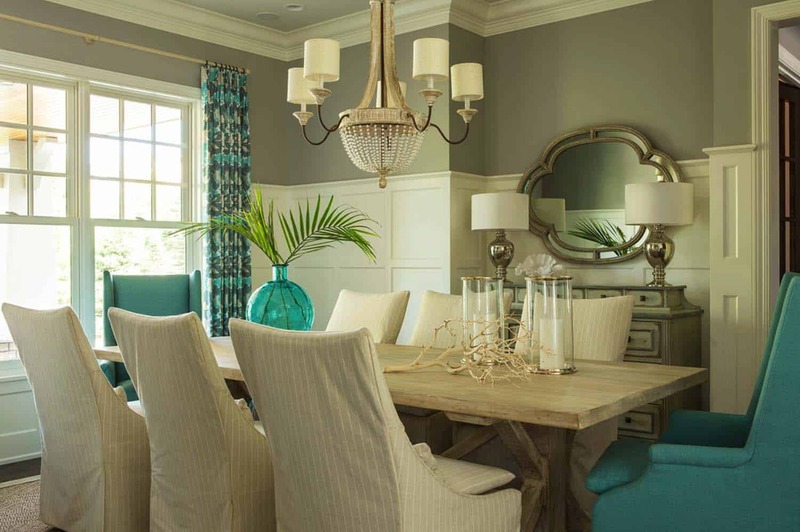 This neutral styled dining room has a pop of color and a slight beachy feel with the slipcovered sofas, hints of blue and the palm fronds in the blue vase. As far as the paint scheme goes, both the crown moulding and ceiling paint is White Dove OC-17 by Benjamin Moore and the wall paint is Ozark Shadows AC-26 by Benjamin Moore. 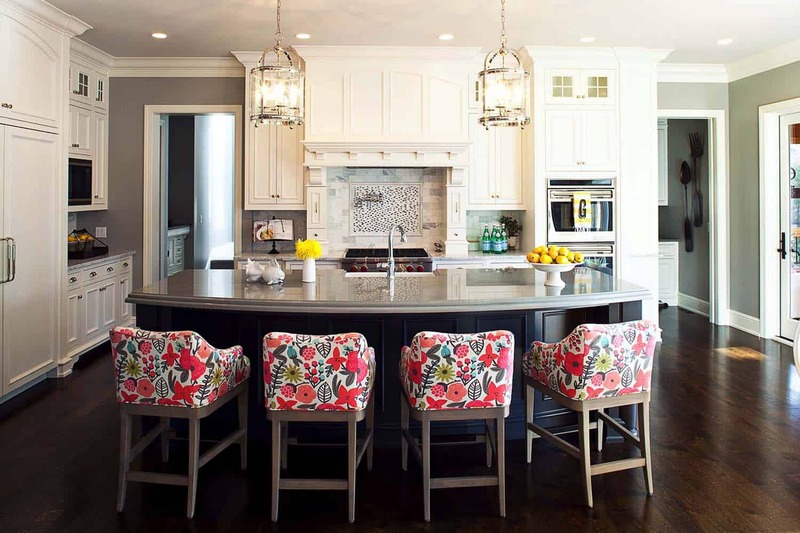 This stunning island kitchen features bar stools finished with a colorful fabric that adds a bold punch of color to the space. 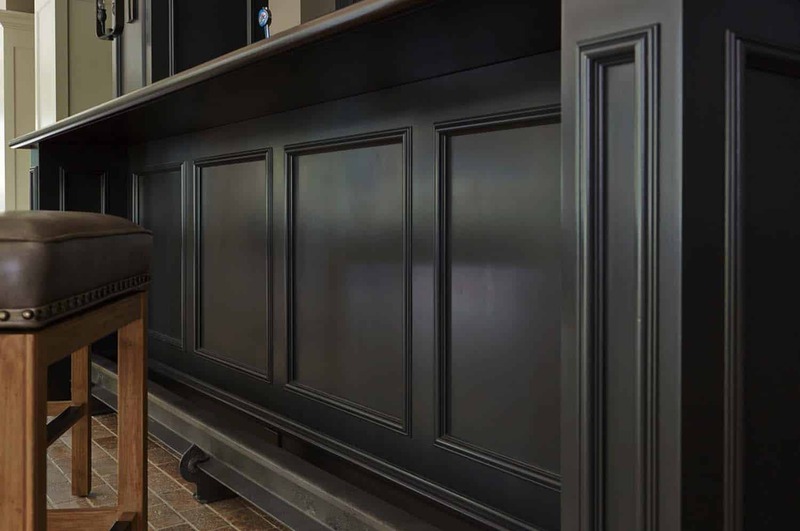 The island countertop is Argento Granite in a soft gray hue, while the perimeter countertops are Carrara marble. Th laundry room walls have been painted in Blushing Brilliance 009 by Benjamin Moore on one side and Baker wallcovering on the opposite side. 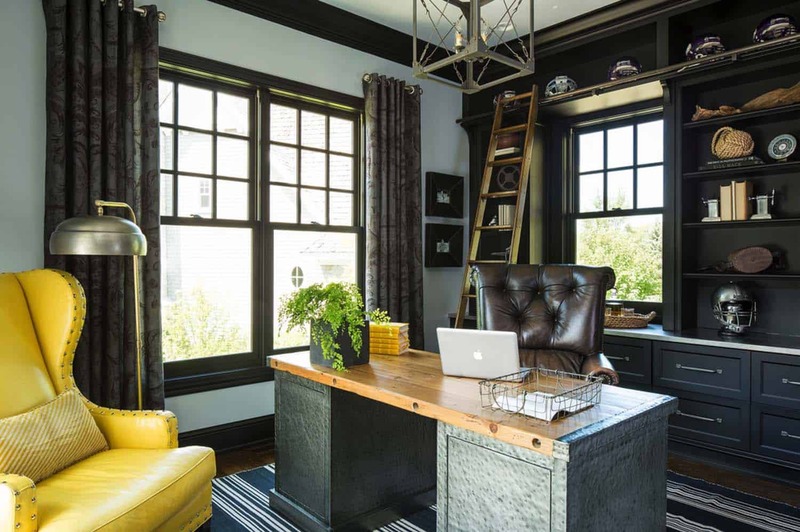 The home office features a black credenza painted with Sherwin-Williams in the color SW 6992 Inkwell, while the walls feature a Benjamin Moore paint color, Metallic Silver 2132-60. The yellow leather chair in this space adds a bright pop of color to this space. 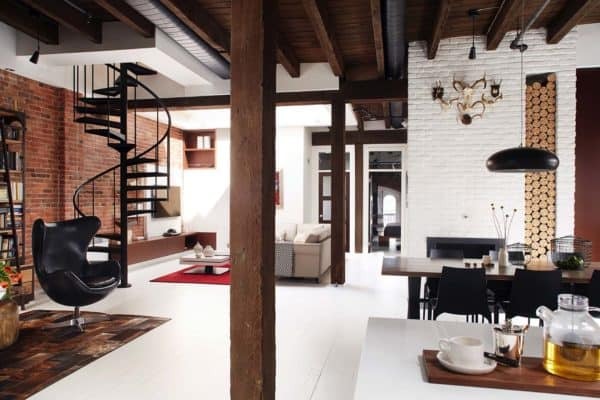 A bright and airy staircase features dramatically high windows that illuminates the space with natural light. 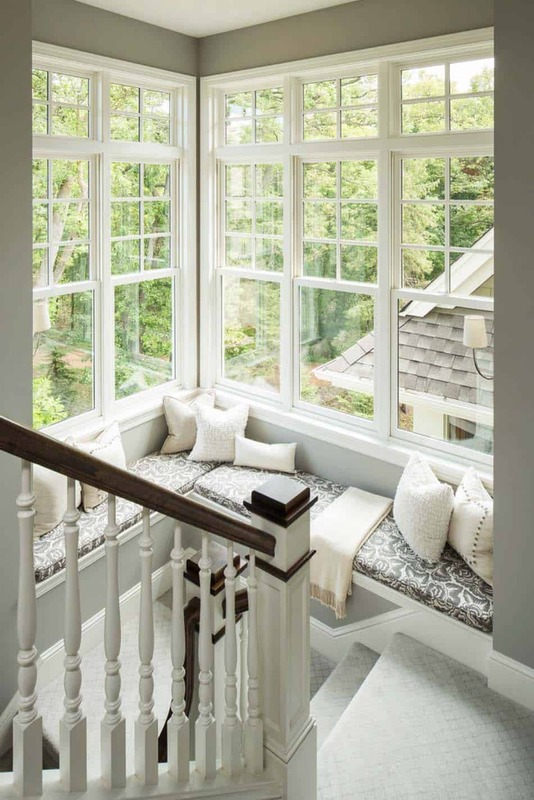 The built-in window seating creates a cozy little nook at the stair landing, a perfect spot to curl up and read a book! 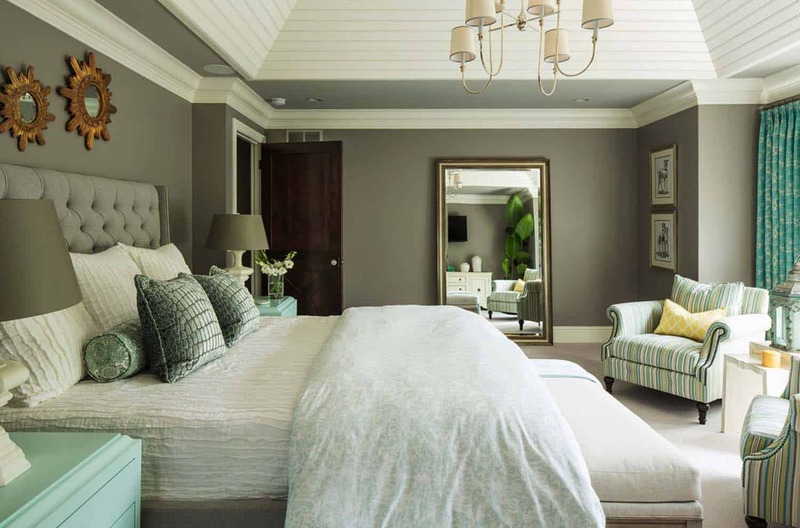 This beautiful master bedroom retreat features a darker wall color in Benjamin Moore Winter Gates AC-30, yet by using bright colors in the surrounding pieces such as the fabrics, finishes, flooring and ceiling finish, the space feels brighter.